Netizen Ian Navales Lapayo shared on Facebook, an incident in his life where he experienced a foreigner’s appreciation for the Philippine President Rodrigo Roa Duterte. Lapayo narrates that he was riding a bus bound for Cebu when he noticed a foreign national wearing a silicone wristband that has “Duterte” written on it. Curious on why this foreigner was wearing the band and where he actually got the band for he probably had no idea who Duterte is, prompted him to talk to the foreigner. 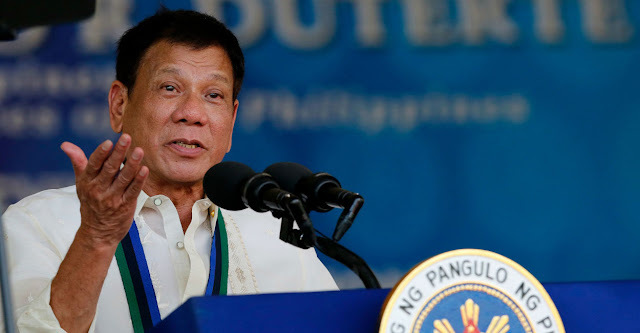 Out of surprise, the foreigner stated that he hasn’t met Duterte in person but news of his greatness reached him on both social media and world news. The foreigner who was actually an American actually admired Duterte, he found the Philippine President to be such a great leader. He actually contrasted Duterte and United States President Donald Trump, wishing that Duterte was their president instead for he was so straight forward with his intentions and is actually loved by his own country. The American told Lapayon that the Filipinos are lucky to have Duterte and that Filipinos should love and support him. Lapayo had nothing else to say our of shock, all he did was smile and he thought to himself that if other nationals could appreciate Duterte, why cant every Filipino? “Yesterday, as we were riding a Ceres Bus #8410 bound for Cebu, City, I noticed this gentleman is wearing a "DUTERTE" baller. Out of my curiousity, I asked him why he's wearing that and where did he got that baller (kapal muks! hahaha). He just replied, (NON-VERBATIM) "I didn't see this guy personally (referring to Pres. Duterte) but I knew him through world news and social media, and I find him really great as a president in your country. We, Americans, are hoping to have this kind of leader in our country who is very straight forward and a love to his country. You are so lucky to have Duterte as your president. So just take care of him by showing your support and love to him." I just smiled at him and at the back of my mind, "WOW! Buti pa ibang lahi, na appreciate nila presidente natin, ang iba jan kung maka bash, WAGAS!"